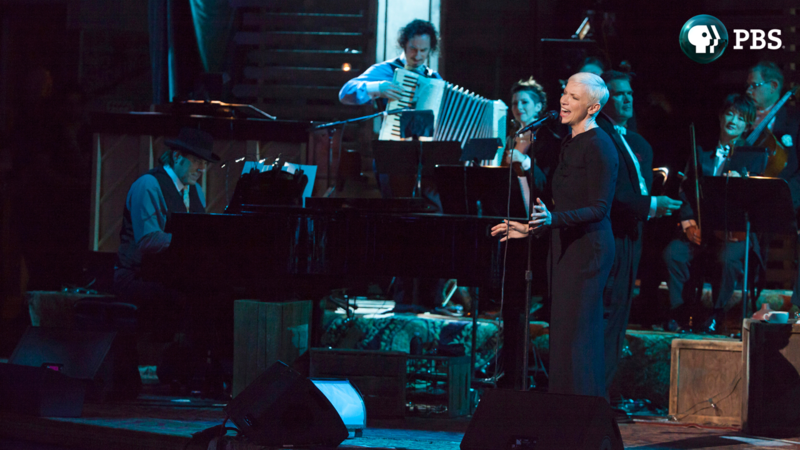 WHERE:Great Performances “Annie Lennox: Nostalgia Live in Concert” premieres tonight on-air (check local listings), online on PBS stations’ video sites and via PBS’s suite of apps. Watch at http://to.pbs.org/annielennoxpbs. Throughout her four-decade career, music superstar Annie Lennox has defied categorization, diving into blues, soul, folk and pop to create songs that captivate and transcend boundaries. In her latest album, Nostalgia, Lennox reveals yet another dimension to her formidable talent. Although jazz is not the genre for which she is best known, she could no longer resist the magnetic pull of some of the most memorable melodies and lyrics from the American Songbook—songs like “Summertime,” “Georgia on My Mind,” “I Cover the Waterfront” and “God Bless the Child.” Lennox’s sublime interpretations bring a hypnotic intimacy to these timeless classics.